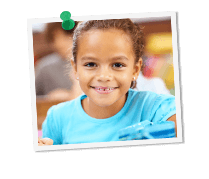 Because standardized tests play such a big role in a student’s academic future, Grade Potential offers a wide range of test prep tutoring services. We specialize in test prep for standardized tests such as the SAT, ACT, ASVAB, GRE, GMAT, LSAT, MCAT, CBEST, CSET, TEAS, PSAT, STAR, SSAT, ISEE–but that’s not all! We actually provide test prep tutoring for many other exams, too. At Grade Potential, we work with each student individually to provide the highest level of personalized, one-on-one academic support. Our tutors come to you: they work with you on your schedule and at your location. What’s more, we work hard to match the right tutors with students, looking at personality types and learning styles. Our tutors at Grade Potential are experts in the field, so they can provide the highest levels of service and attention to the students they serve. So when you or your child wants support to prepare for an upcoming test of any kind, Grade Potential is here to offer critical test-taking strategies that will help you succeed.